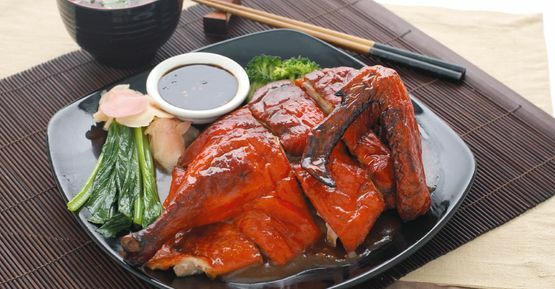 At Sampan Express, we feature an extensive Cantonese and Szechuan menu for that authentic Chinese flavour. We serve up a variety of delicious options, including our chef's specialties and vegetarian selections. All items from our regular menu are freshly prepared for quick delivery right to your door, anywhere throughout Greater Victoria. Don't have time to cook tonight? Hurried on your lunch break? We offer a hot table that has a selection of your favourites, ready to go. Stop by Sampan Express and try our freshly made selections today. Try our succulent Chinese pork and duck BBQ, or delicious Chinese-style seafood to satisfy your craving. Complement your meal with a delicious fruit smoothie or our signature bubble tea. Our tasty beverages will be sure to please your taste buds and quench your thirst! We offer dine-in at our air-conditioned restaurant as well as take-out—place an order for delivery tonight! “Fast and tasty Chinese food beside ICBC road test area. - Victoria Driving School Inc.
Sampan Chinese Seafood Restaurant Ltd.